This workshop responds to our food systems in crisis and builds on the momentum from the University of California Office of the President, the State of California, and the UN to develop new understanding and innovation. Much of the research highlighted at this workshop will be invited to be showcased at a global conference on food hosted by the UCI Blum Center for Global Engagement in November 2015 with participants from the United Nations and all 10 UC campuses. 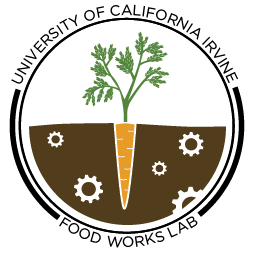 Participation in this workshop will help generate a critical mass of food research at UCI and help to illuminate the landscape of and to make connections with the important food research being done at UCI. It will also create a UCI Food Research Community Map to identify the diversity of disciplines represented. This workshop will also engage participants with opportunities to develop or gain new perspectives on food research and to link this research to broader issues facing the region, the country, and the globe. Lunch, refreshments, and a food tour included. Supported by the UC Global Food Initiative from the UC Office of the President to bring together research and interest on Food Issues at UCI.